MELBOURNE, Fla. – Nova Southeastern senior women’s tennis player Ana Navas was named Sunshine State Conference Tennis Athlete of the Week for her efforts aiding No. 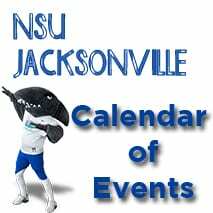 8 NSU to defeat No. 25 Flager on the road last week. Ranked as the No. 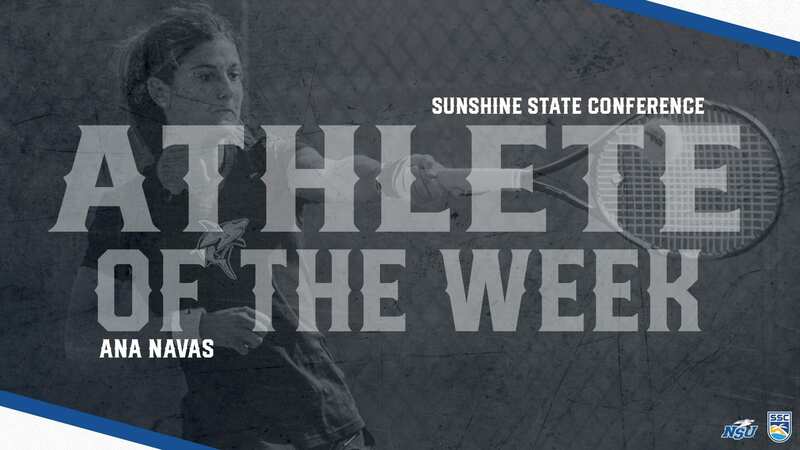 9 ITA singles player nationally, Navas won both of her events to earn her first SSC weekly honor this season – second of her career. The Valencia, Spain native won both singles and doubles match to lead the Sharks past the Saints. Navas won 6-3, 6-1 over Felicitas Runkel during the No. 1 singles match-up. Navas and doubles partner Daniela Obando, the No. 12 pairing in the nation, went on to win 6-2 over Flagler’s top doubles pair, Alessandra Traub / Paloma Martinez. Sharks tennis continues with road matches to start the season, heading to Valdosta, Georgia for meetings with Valdosta State and Georgia College on Saturday and Sunday, Feb. 9-10.